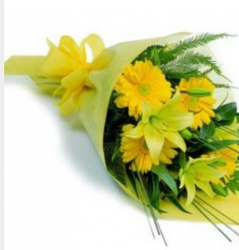 CoimbatoreGiftsFlowers - Ecommerce Shop / Online Business of 20 colorful gerberas bunch, lillies and gerberas & love gift 3 in in one in Coimbatore, Tamil Nadu. 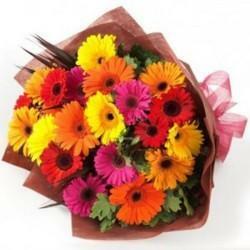 Do you like to send some beautiful flower bunch to your dearest ones in Coimbatore? You want them to be appreciated and also you are concerned about the cost. ? Here we have a fine option for you. You can choose this gerbera and Lilly bunch.6 gerberas and 2 stems of lily wrapped artistically by our staff in a celephone. sheet. 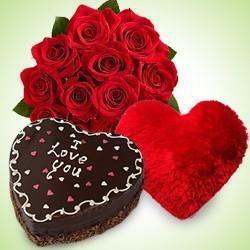 order online for flower delivery in Coimbatore..flowers and cakes are delivered in Coimbatore the same day. 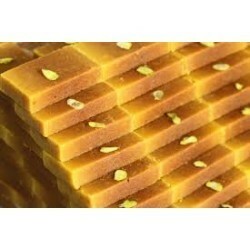 Make your loved ones feel special and loved with the gift surprise of sweet treasure by delivering delicious Badam Mysurpa. 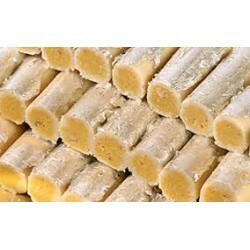 The recipients will savor the taste of this Half Kg yummy Badam Mysurpa through coimbatoregiftsflowers.com.